5 Star Hotel International Buffet (Dinner OR Weekend High-Tea) at RM49 nett !! 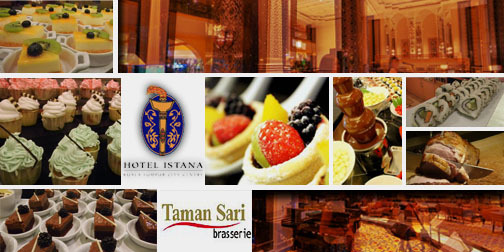 Indulge in a wide variety of delights with the bountiful spread at Taman Sari Brasserie @ Hotel Istana buffet dinner. Serving food made from fresh ingredients, you too can tantalize your tastebuds with tastes from all over at only RM49!